Anyway, we get different birds around here all the time. 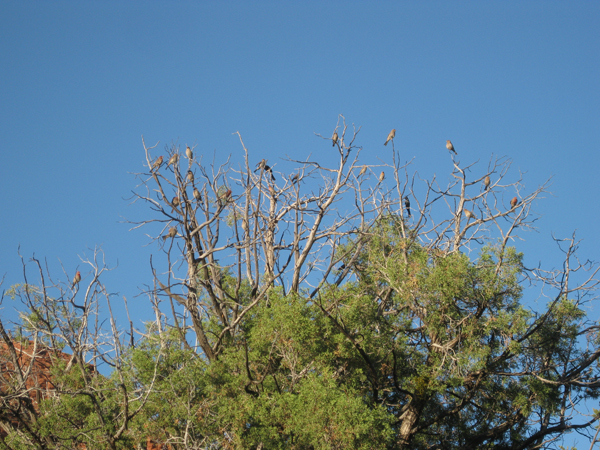 A few birds hang around here all year, like the quail and the scrub jays, but mostly the birds come and the birds go. But we always seem to have some kind of birds hanging around here. Today I was walking on my trails and I heard a bunch of those birds singing and when I looked up I noticed something strange. Someone must have decided that those transient birds needed someplace to hang out, so they designated one of my trail trees as a bird tree. Because that’s where all the birds were. They were hanging out on that one bird tree. 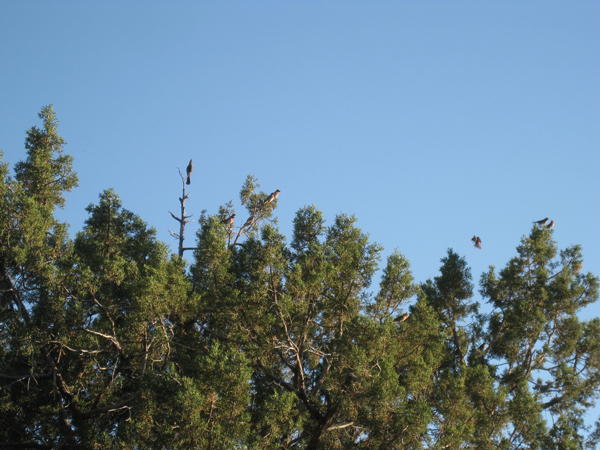 But that tree got so full of birds that they must have had an overflow because they had to open up a second bird tree. Across my trail from the first bird tree was another one. 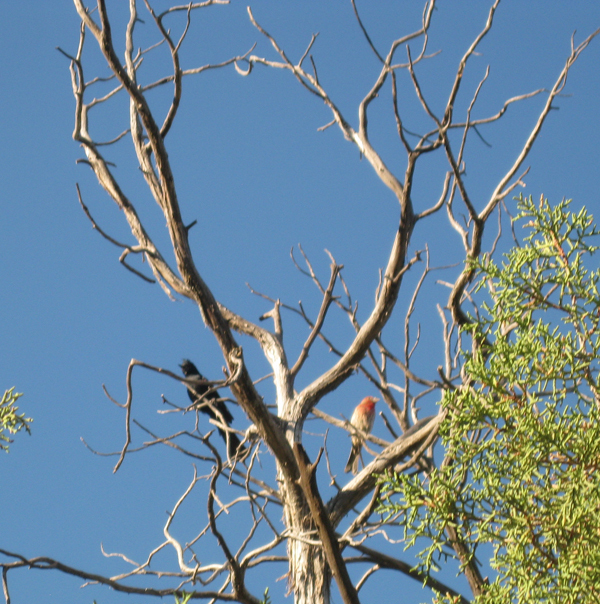 I wonder if this second bird tree is for second class birds – the birds that aren’t allowed in the first tree. Those second class birds do seem to be hiding so it’s hard to see that they’re in there. I guess it’s embarrassing to be a second class bird in a second class tree. I’m sure glad I’m a dog and not a bird. Because all my trails are first class. Hi! My name is Arsen. I am a designer from Spain. Your blog seems pretty interesting to me,thus I’d like to befriend with you. Nice to meet you Arsen. 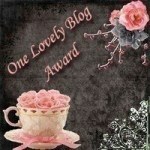 Thanks for stopping by and commenting and following my blog. I hope you continue to enjoy it. Thanks Patrecia. You’re pretty first class yourself. Cupcake, it there were any chicken I think I’d be getting Scratchy and making him climb up that tree to catch one for me. No chickens but I’ve heard quail is pretty good too. We have lots of those here but my person won’t let me go after them. You can say that again, Bongo!!! Also birds aren’t as lucky in getting treats, fish and loves!!! Thanks Marina. Yeah, birds eat things like worms and bugs. I’ll stick with treats, fish, and loves. Little Binky you’d love that tree. I bet you’d be right up there with those birds, wouldn’t you? A bird festival? At least they are staying up and out of your way. You don’t need more traffic on your trails! Karen, most of those birds travel on the upper level – except for the quail. They’re on my trails all the time, but they always run off when they see me coming. Quail always seem to be gossiping – and they run as soon as they see you know! Benny & Lily, they are pretty nice looking birds, aren’t they? It’s like a Marriott for birds. Maybe the one across the way is a Motel 6. Patricia, I like that. Marriott and Motel 6. My person says she stayed in a Motel 6 once and she had to go outside to use a phone. That was before cell phones. Wow that is pretty cool. Thanks Misty Shores. The birds don’t all hang out on the same tree very often around here. Kevin, did you say treats? Those birds really know how to party. Boids? We love boids! 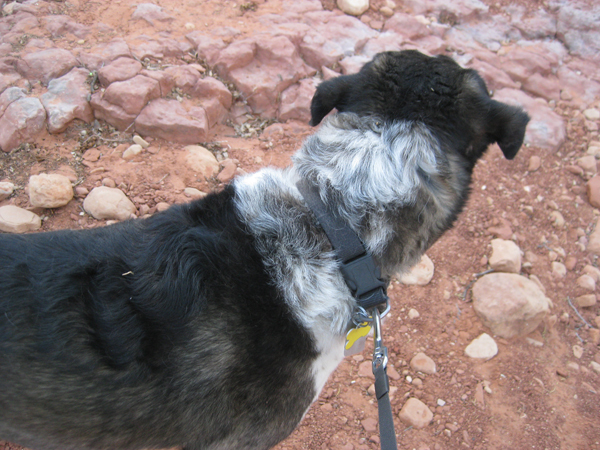 Fried, fricaseed, baked….. yum…..
Collies, maybe you can help me catch some of the quail on my trails. They weren’t even up in that tree. Bongo, I’m pretty sure that all the birds in Tulsa live in and around my back yard. They come for the chicken feed. FleaByte, I could tell my birds there’s chicken feed in your yard. I don’t know what they were eating in that tree. Hmmmm, Bongo, this is a Big Mystery. In winter, when there is cold and snow, crows come back from the fields into the town. They sit down on the branches of huge, old trees or on the roof of the houses. 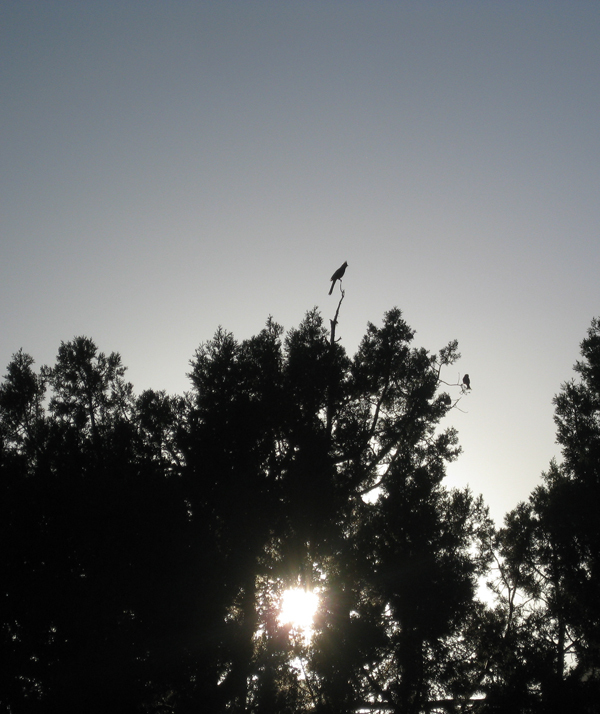 In the afternoon, most crows are still flying, but there are some who take already place on the trees. I always pondered whether they are the old ones who got tired earlier or the ills or even the most skilled and strongest who had found food quicker. Kolytyi, they’re probably the smartest crows.